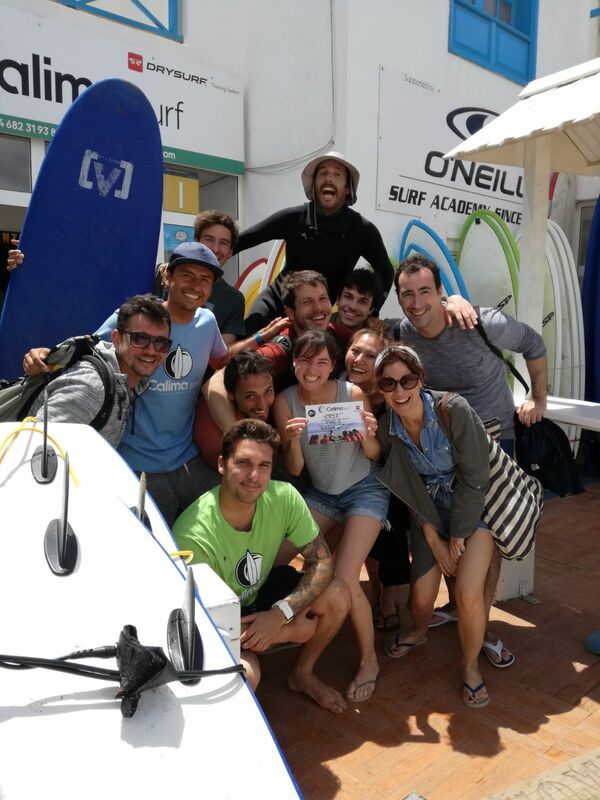 Adults surfers holiday in the magic Camps in Lanzarote: Different holidays in the Canary islands. The newest option regarding summer leisure are now the adult camps. During the middle of spring, who ´s not already thinking off his next summer vacation? There are many alternatives, but mostly unoriginal: beach, mountain, some trip to distant or nearby countries ... same as always. More and more people are eager to spend their summer vacation to do something different. With also relaxation , leisure but different. You are looking for something original, original and fun. From that demand, the directed camps have begun to emerge, not to the usual contingent of children and adolescents, but to adults. Relive the pleasant experience of those camps from your childhood, but in an adult way ..That is the goal of this type of vacation experience. But what are Adult Summer Camps like? Directed to people who, like you, think about having fun and disconnecting from routine, generally also taking advantage to practice or start to practise a new sport, far from the city and, ideally, in a natural enviroment. It's about enjoying each day to the fullest and living unique experiences surrounding friends, but also making new friendships. And to return back home with your batteries well charged to face a new course. As we say, this type of camps tend to have a thematic nature, focusing on some type of concrete activity, such as language learning, restoration, archeology, ecology or, in most cases, the practice of some sport. 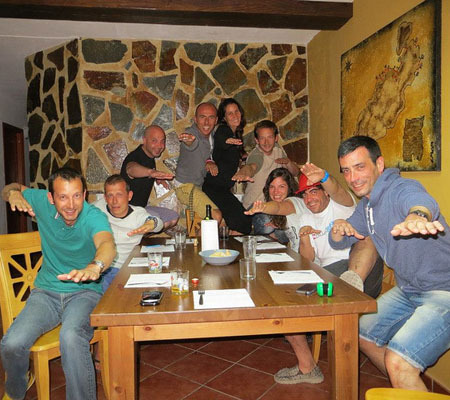 Those ones like Camps Calima Surf offers and wich we are going to explain to you below. Surf camps in Lanzarote, adults surfing holidays in the magic paradise (Canary Islands, Spain) - Open all year round. We have dedicated more than 20 years to sports holidays for adults and teaching multiple sports activities, such as surfing, diving, kitesurfing, yoga, sup, windsurfing, cycling ... Each year, 1,500 surfers from different nationalities pass by through our facilities to practice their favorite sport. If surfing is your passion or you want it to be, you already have a plan for this vacation. Lanzarote Island is already, by itself, a natural paradise. Declared a Biosphere Reserve by Unesco in 1993, surf lovers treasure one of the best beaches to practice this sport discipline: Famara beach. This beach offers a lot of different waves in different areas, especially under the Mirador del Río or in the area of ​​La Santa and Caleta de Caballo. It is the longest one on the island and, as if that wasn´t enough, presumes to be the ideal setting to view the wonderful and amazing sunsets .Intense red colours that dye a magical light in the sea and beach, that have made it famous worldwide. But there is more. 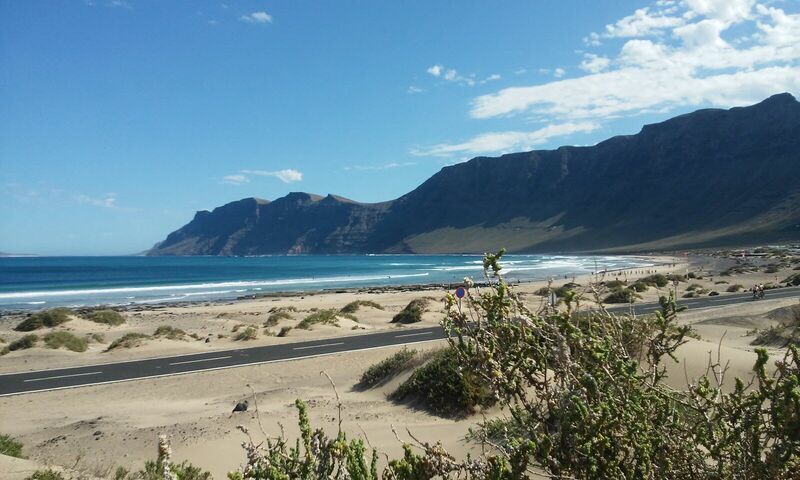 This spectacular beach is part of the natural reserve of Famara, a unique space for the practice of outdoor activities as , in addition it has a privileged microclimate that guarantees temperatures between 20 and 25 degrees Celsius in full winter season. Our Surf House is located just 100 meters from the beach, in a natural environment within the nature reserve itself. 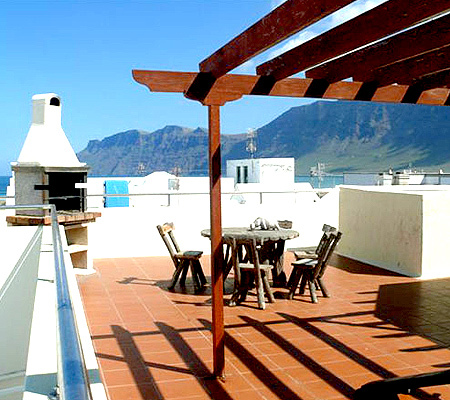 With spectacular views to “ La Graciosa” Island almost seems you can reach it! A unique place in Spain, within the wonderful Canary Islands. A place to feel at home among people from multiple nationalities and with all the services needed to enjoy holidays without worrying about anything else. Comfortable, safe and clean accommodation where you will be able to choose between private rooms, ideal for couples, or shared, but including bedding and towels. In the common areas there is a kitchen, a solarium terrace and even a barbecue to enjoy entertaining and delicious gastronomic evenings with the surf family and the rest of the guests. Among all the sports that can be practiced in our sport facilities (from scuba diving to yoga, to hiking or SUP - Stand up paddle-) Surf predominates over all. And it is that in our school we have instructors with extensive experience and professionalism that teach courses of different levels . 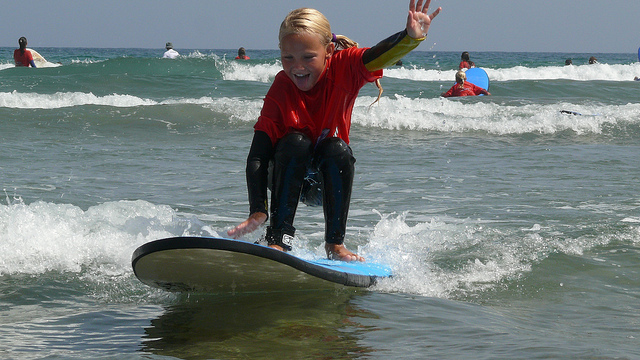 We are an international recognized school and first Surf Camp in Spain, highly committed to teaching and training this fantastic sport specialty. This year you have no excuse to start enjoying this sport. With a maximum of 8 students per instructor, we adapt to the level of each participant. It is possible to choose between the initiation course for beginners, the intermediate course to improve the technique, or the advanced course for the more experienced surfers. On the other hand, all our instructors also have the status of aquatic lifeguards, so safety is taken care of to the maximum. In all cases we include accommodation, the theory and practical lessons , transfer from the accommodation to the beach , all the material you need and, of course civil liability insurance. Another important detail is that there we offer equipement avaliable after your lessons free of charge , which allows it to be used outside classes starting on the third day of the course. Material that includes soft board , wetsuit , lycra and leash . You wouls only have to bring it back to the school before 6 pm each day. In addition, all of our material is renewed annually, so that it is always in perfect conditions of use. And you can choose from 150 different surfboards. Can there be any more fun plan for summer vacations? 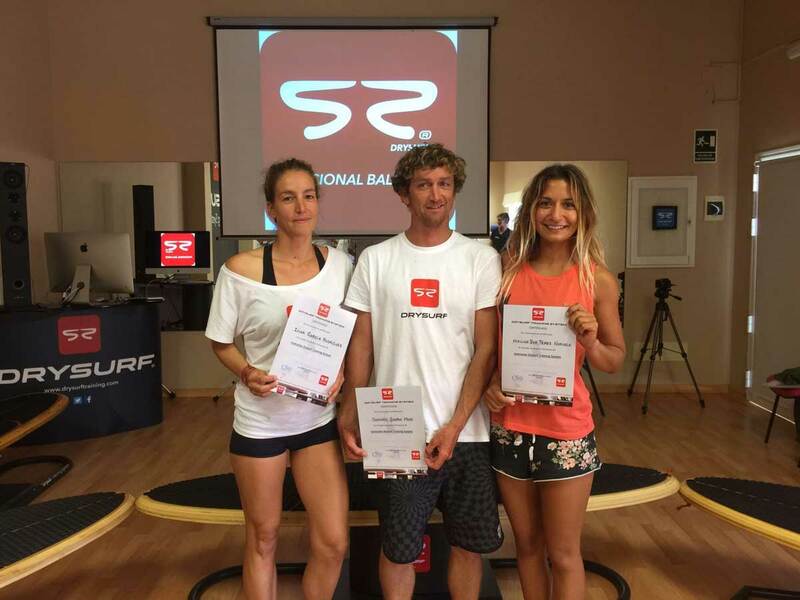 The new Dry surf system Sytem Balance - Our qualified monitors in this new methodology. In our camps it is impossible not to learn to surf. And it is that why we exclusively apply the innovative Dry surf Sytem Balance teaching system. This method is revolucionary so it diferentiate us from other surf schools and guarantees an evolution in the discipline from the first moment of learning. This teaching modality, pioneer in the whole island, includes a series of exercises performed in our Functional Balance Board, to understand us, an indoor simulator. These exercises are highly effective given that in 60 minutes of training it is possible that a beginner can perform between 40 and 60 times a take off. That is, the equivalent of a full week of work in the water. It also allows a type of functional training that stimulates all muscle groups, improving the communication of the neural system. It is a versatile system and adaptable to all ages, allows unlimited postures and provides security and confidence. It enables to promote a therapeutic training that not only strengthens muscles, but also improves balance and increases agility, flexibility and coordination. Ideal to prepare the body for extreme situations while practising in sea. The fact that we have a wide offer of camps for adults does not mean that the younger ones are excluded. Every year, during the month of July, we also have summer camps for teenagers and young people between 13 and 17 years old, with a wide variety of activities to choose from: surfing, diving, kayaking, karting, volleyball, yoga. .. They can even practice and learn native sports, such as the Canarian ball, or participate in fun photography contests, workshops or excursions. 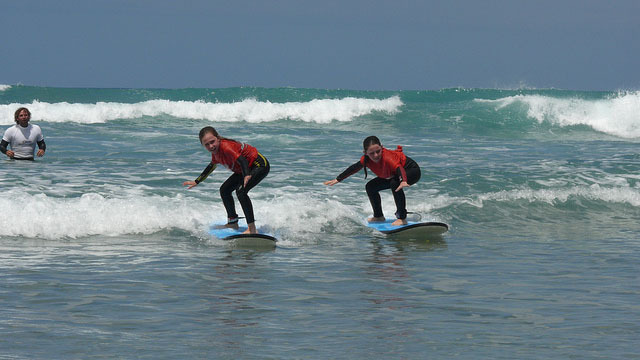 The surfing activity is the star, with a duration of 4 hours a day and a monitor for every 8 children. And always done with material specially designed for beginners, ensuring maximum safety. There is also time for tourist visits to the south of the island, to discover places such as the Timanfaya National Park, Los Hervideros or Las Salinas. There won´t we time to get bored, because we also organize the "Calimasurf Olympics", which combine sports games and logic. This entertaining and sports experience a is there is added convivence in a house with bilingual monitors in many languages ​​24 hours a day and with other young people from different nationalities, which guarantees the daily practice of “speaking” with the rest of participants of their age. All this, without forgetting our speeches about sports values, such as participation, competitiveness, teamwork, creativity ... and disconnected from the electronic devices that absorb them throughout the year. Transfers to the Surf house and airport, as well as full board are included. Without forgetting that people with special nutritional needs will see their requirements met, whether they are vegetarian, vegan or special for coeliacs. Definetly to live a different and unforgettable holiday in those fortunate islands, Calimasurf offers you either camps for adults or young people, a unique experience, healthy one hundred percent and in a Paradise. The best beach in Lanzarote to practice water sports, especially surfing. Something you have to live at least once in life. Although, sure, you will repeat.